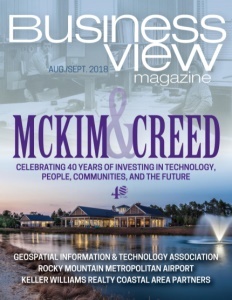 Business View Magazine interviews Greg Phillips, Director of Aviation at the Colorado Springs Airport, as part of our series on best practices of regional airports in the U.S. The Colorado Springs Airport is a city-owned, civil-military airport, six miles southeast of Colorado Springs, in El Paso County. The facility first opened in 1927, on two gravel runways; in the late 1930s, its first scheduled airline flight went from El Paso, Texas, through Pueblo, Colorado Springs, to Denver, and back. The Colorado Springs Airport’s first municipal terminal was built in 1942 – the same year the airfield was taken over by the War Services Administration to train pilots to fly P-38s and other military aircraft. When World War II ended, the Airport reverted back to the City of Colorado Springs control, except for the north end of the property, which became Peterson Air Force Base in 1948. After sharing facilities with the military for a quarter century, the City of Colorado Springs built a new terminal in 1966, which was further expanded several times over the next two decades. In 1991, the voters of Colorado Springs approved a bond issue for the construction of a brand new terminal to replace the crowded, outdated one. More than 50,000 citizens turned out for the 1994 grand opening of the Airport’s existing three-level, 280,000-square-foot structure, which came in at a cost $140 million. The Colorado Springs Airport has three, 150-foot wide runways, with one at 13,501 feet long, making it one of the longest in the state. 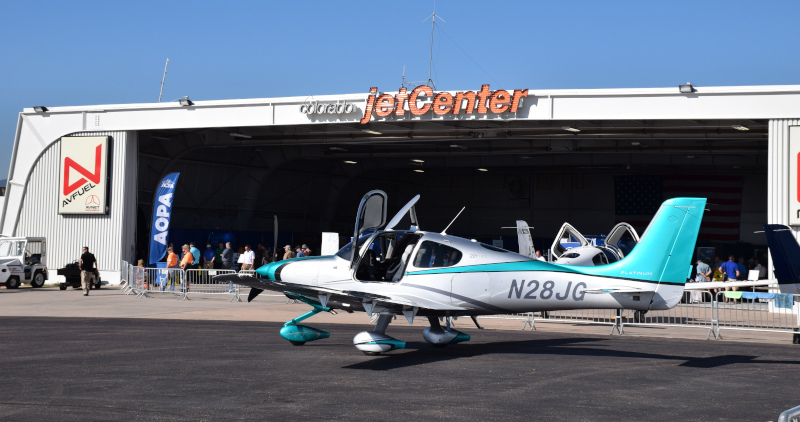 Last year, the Airport had 135,178 aircraft operations, an average of 370 per day; 48 percent of those operations were general aviation, 31 percent were military, 11 percent were scheduled commercial, and 10 percent were air taxi. As of April, 2018, there were 231 aircraft based at the Airport: 151 single-engine, 25 multi-engine, 25 jet, 4 helicopter, and 26 military. 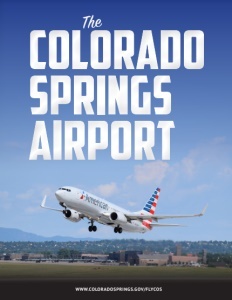 While the Colorado Springs Airport has several different revenue streams – corporate and general aviation; the Peterson Air Force Base, which is its largest tenant; and 900-acre non-aeronautical business park – Colorado Springs is mostly known for its commercial service. Carriers serving the Airport over the years included such long-forgotten names as Wyoming Air Express Service, Pikes Peak Air Service, and Western Air Service. Luckily, Frontier returned in 2016 with nonstop service to Las Vegas, Phoenix, and Orlando. In 2017, it announced seven new seasonal destinations: Chicago, Los Angeles, San Francisco, San Diego, Washington D.C., Ft. Myers, and Tampa. And the long slide was finally over. “In 2016, we saw 10.6 percent total growth,” Phillips reports. “In 2017, we saw 29.5 percent growth, marking the largest percentage growth of any of the top 150 airports in the country. We’re up almost another 20 percent, so far, for 2018, and we’re projecting about 950,000 enplanements for the year. 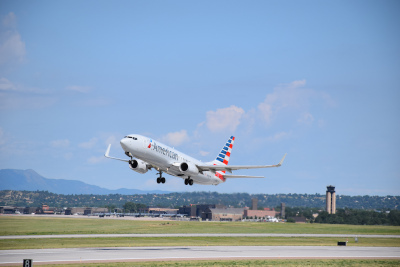 So, we’ve seen a ton of growth, again, this year.” In addition to Frontier, Colorado Springs is also served by American, Delta, and United Airlines. Check out this handpicked feature on Altamonte Springs, Florida – Debt-free innovation, “the Altamonte Way”.